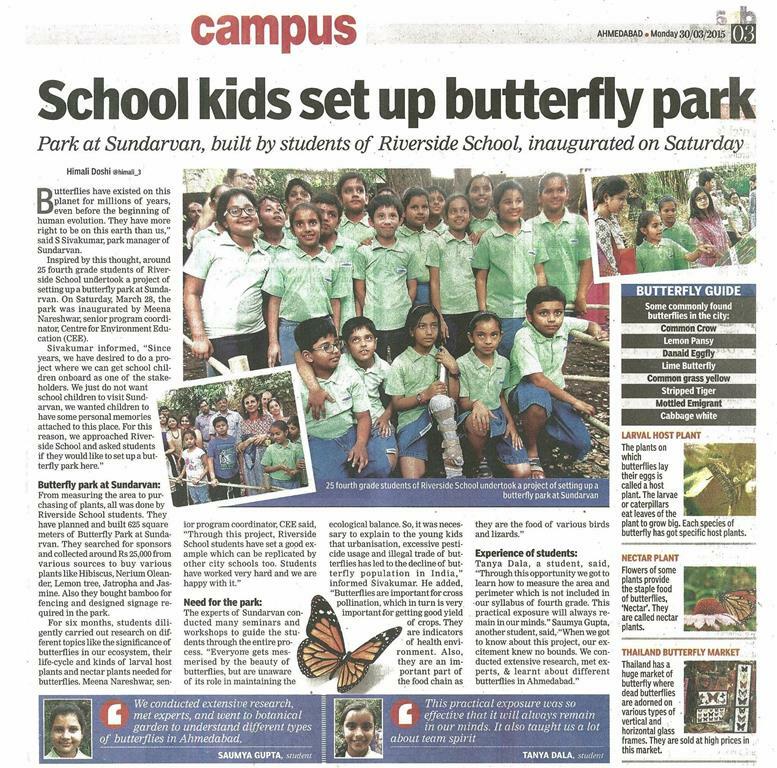 Grade 4 students of Riverside school undertook a project of setting up a Butterfly park at Sundarvan. 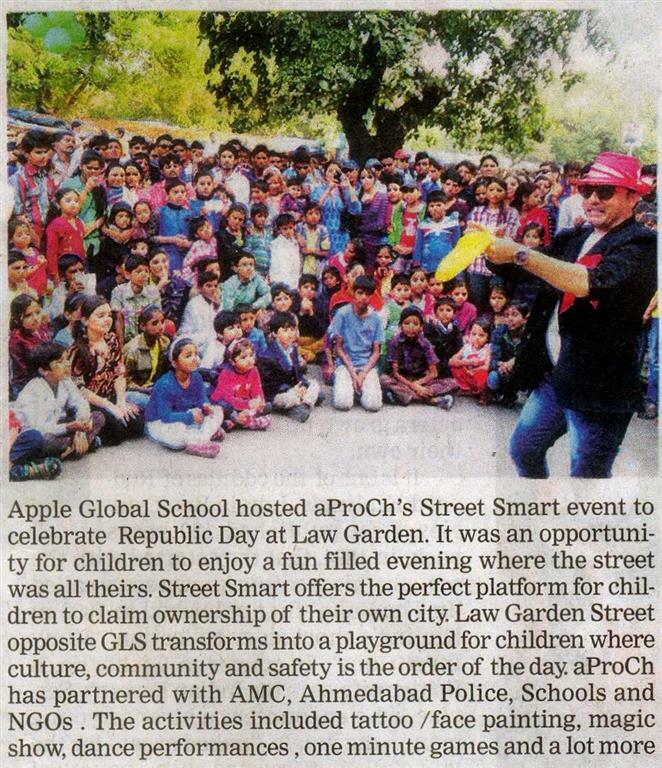 aProCh along with Apple Global School, hosted the 40th "Street Smart" at Law Garden to celebrate Republic Day on 26th January, 2015.
aProCh Parents of the Park on Sunday 21st December, 2014. 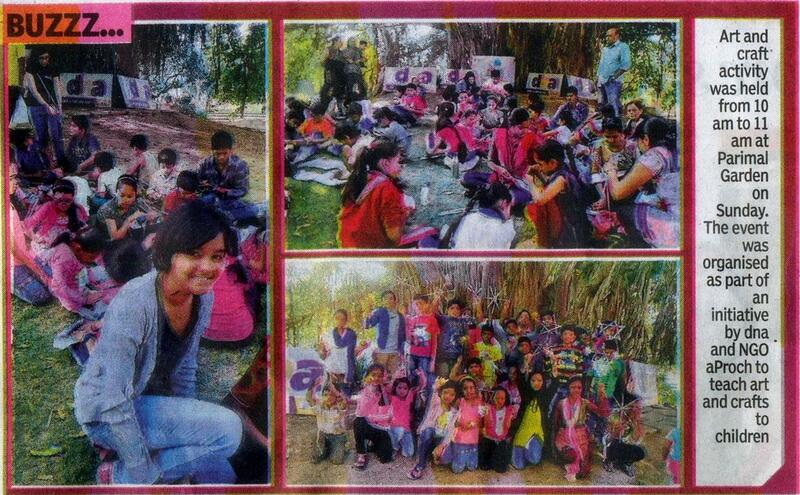 The event was organised as part of an initiative by DNA to teach art and crafts to children. aProCh Parents of the Park on Sunday 14th December, 2014. 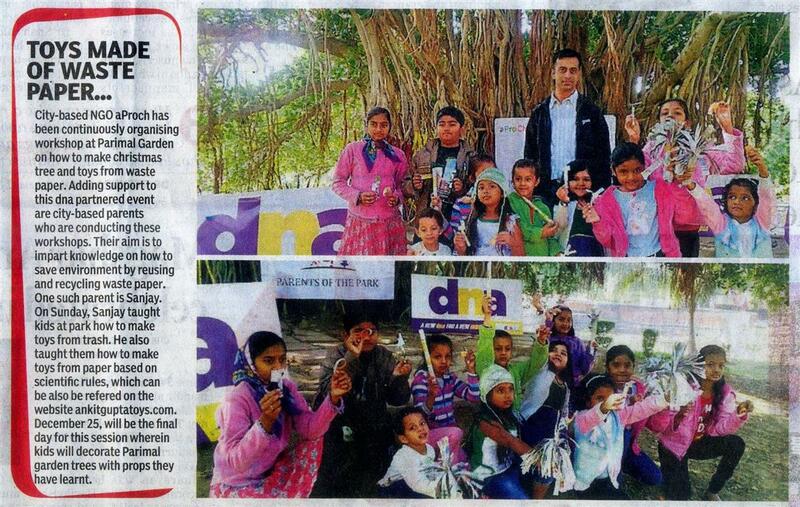 The event was organised as part of an initiative by DNA to teach art and crafts to children. 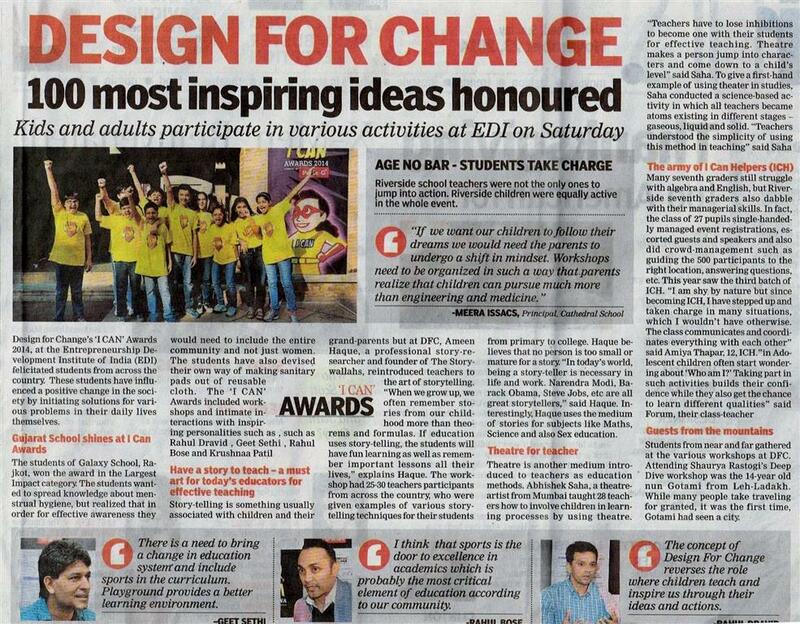 Design for Change - School Challenge 2014 Award Ceremony held at the Entrepreneurship Development Institute of India (EDI) on 22nd November 2014.